As the Chair of Board of Governors it is my privilege to welcome you to our website and formally introduce you to my fellow Academy Trust Members and Board of Governors. It is our honour to serve the students at Capital City Academy and work in one of the most vibrant multi cultural schools in London. Our Academy Trust reflect those who take a long term strategic view of the school while the Board of Governors concentrate on the operational requirements associated with the smooth running of the academic year. Over the coming months we at Capital intend to continue with the academic progress of our students and increase their level of academic attainment. However this can only be achieved with the full support of the students’ parents whose provision is greatly valued. Together we can make Capital City Academy an outstanding educational environment. Please click on the following link to a document which sets out the governance protocol in place at Capital City Academy; including the workings of the trustees, governors and committees. Please click on the following link for our statement from the governing body. Please click on the following link for composition of the board. Please click on the following link for the committee member information. Please click on the following link for the attendance record for Members and Trustees at board and committee meetings over the last academic year (2017-18). Please click on the following link for further information on our governors interests. Please click on the following link for guidance for link governors. Please click on the links below to view the minutes from our Full Governing Body meetings. Please click on the link below to view the minutes from our Agenda Proposal for 2018-19 Meetings. Please click on the link below to view the minutes from our Full Governing Body meeting. Please click below to read the biographies of each member of our governing body and academy trust. Sir Frank first rose to fame running Collett Dickenson Pearce, which he built into one of the best known agencies in the United Kingdom. In 1981, he started Lowe Howard-Spink, which eventually became Lowe & Partners Worldwide. In 1979 Sir Frank arranged sponsorship in order to bring back the London Grass Court Championships (after an 8 year gap) at the Queen's Club. The Tournament then became known as the Stella Artois tournament, an arrangement that lasted almost 30 years. He became founder and president. Sir Frank got to know the Labour Party through his work on Passport for Pets, which changed the quarantine laws. Following this he suggested that as he had some success he would like to do something in the charitable world and was asked to be the Founder and Sponsor of the first Academy, which he accepted as it particularly appealed to him because of his belief that education, particularly for those less fortunate, is one of the most important things in Britain today. He asked his friend Lord Foster to be the architect for the new building on the site of Willesden High School. In the 2001 Queen's Birthday Honours Sir Frank was knighted for services to charity and advertising. 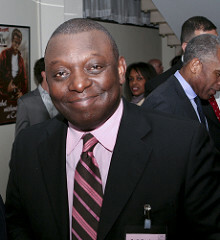 Garth Crooks is a former professional footballer, who was elected the Chair of the Professional Footballers Association towards the end of his playing career. Having left the sports arena he joined the BBC as a commentator and journalist and has dedicated a considerable amount of time to public life. Garth was Chair of the Institute of Professional Sport under the patronage of the Central Council of Physical Recreation and HRH The Duke of Edinburgh. He was also a Board Member of the Football Foundation having been appointed by the Secretary of State to the Sports Council, the strategic lead for sport in England and Wales and Lottery Funding, prior to joining Capital City Academy Board of Governors. He was elected Chair of Governors in January 2015. Faira Ellks represents Brent local authority on the Board and has done so since the Academy opened in 2003. For 18 years, Faira worked as a teacher and head of department in Brent schools. She then joined the school improvement service in Brent, working as advisory teacher for modern languages, as a school improvement professional attached to a number of primary and secondary schools, and as an Ofsted inspector. She also had lead responsibility for organising Brent's central training programme for teachers and support staff. For several years prior to her retirement in 2013, Faira was Head of School Improvement Services in Brent. As a governor at Capital, Faira draws on a wide range of skills and her substantial experience of working with both highly successful schools and those facing significant challenges. Since retirement, she has had more time to dedicate to the role and has very much enjoyed working as link governor to the English, mathematics and science departments. Alongside other governors, as a member of the Curriculum and Standards Committee and of the Full Board, Faira keeps a close eye on the progress the school is making, and challenges and supports school leaders so that, together, we can secure continuing improvement for Capital. Titilola worked as an editor and then managing editor for Oxford University Press and then University Press Nigeria. There she worked on English and Nigerian literature as well as a series of English language text books for the Nigerian national school curriculum. Semi-retired, she currently has a small company dealing in film and property and often invigilates exams at a local Brent school. Titilola also sits on the Brent Council's Schools Appeals Panel, the Brent Exclusion Appeals Panel and is a member of the Brent Schools Forum. Two of her sons attended Capital City Academy. Having a child with learning difficulties and seeing the way Capital were helping him to recognise his abilities and encouraging him to achieve, Titilola became very active in the Parents Forum in order to promote the school and work with other parents before becoming Community Governor at Capital. She is currently link governor on Safeguarding and Child protection as well as attendance and behaviour. Her governor’s role gives her the authority and independence to be a useful arbiter of staff, parent and pupil concerns as well as to encourage the very best of people’s abilities. Kim joined Capital City Academy in 2012 with teaching experience in a variety of schools and has recently taken a new role as the Director of the Arts. Working at Capital City Academy she has seen the academy change over the years. She has led the Visual Arts department over the last few years and has strived to promote and enhance the arts profile and education at the academy. The further development of the arts opportunities have included links to; the Crafts Council, the Arts Council England, Salusbury World; The Royal Academy, The Photographers gallery and other art galleries. These have enhanced students’ opportunities to access artist led workshops and programmes. Her passion for the inclusion of the arts and an interest in taking an active part in the further development of an outstanding education has led her to her role as a Teacher Staff Governor. Wola has worked at the Academy since February 2008 and over that time has seen the academy progress, and has contributed and supported its ethos and values. Wola has worked within various departments across the Academy and is currently a Head of Year, a post that his has held for the last seven years. Wola’s nine years of experience at the Academy, in a variety of roles, coupled with the knowledge acquired from a Master’s degree in Education & Leadership enables him to contribute to the strategic direction and policies at the Academy as his role as Staff Governor, ensuring students receive an outstanding education. Anna is currently the Teach First Director for West London; a charity dedicated to ensure that no childs' educational success should be limited by their socio economic background. She started her career as a Product Design Engineer having completed a Degree in Industrial Design at Loughborough University but chose to pursue a teaching career, through Teach First, whereby she was Head of Design and Technology in a west London school. With a career spanning nearly 23 years, Darren has extensive senior marketing communications experience in both client-side and agency roles working for brands such as Evian, Nintendo, MTV, Reebok, Hula Hoops, Haribo, Budweiser, Carling, and Rothmans. He is currently Global Brand Director at the world’s largest activation network Geometry, part of WPP – which itself is the world’s largest marketing agency group. Lorna started her career in law as a legal secretary and qualified as a Fellow of the Institute of Legal Executives (now the Chartered Institute of Legal Executives) before continuing her studies and qualifying as a solicitor in 1998. Lorna then spent over 15 years working for Colemans-ctts LLP in Kingston-upon-Thames where she specialised in the areas of Employment and Immigration law, becoming a partner in 2009. Over the years, Lorna has also been delivering legal training for national legal training company Central Law Training (“CLT”), together with delivering training in the past for both the Association of Women Solicitors (now the Women Lawyers’ Division of the Law Society), for the Law Society itself and Kingston college. Lorna continues to practice in law on a part-time basis and holds the position of a Programme Director for CLT. Paul acts as an advisor, board member or mentor to organisations and individuals who want to make positive change happen. He brings a wealth of experience in leadership and strategy gained from 30 years working in both private and public sectors. During 16 years as a partner at PwC, the global professional services firm, he held a range of leadership positions including at main board level in both the UK and Africa practices. He has led and grown successful businesses within the firm such as the Government & Public Sector practice and Africa Business Group. Alongside his client work in corporate finance and consulting he led PwC’s Human Resources function through a period of substantial change. 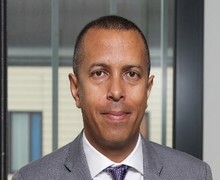 He has been widely recognised externally for his work promoting diversity in business and as a senior role model and been a member of the Government’s Social Mobility Commission, among other non-executive roles. Tangwena built a successful career in investment banking in both New York and London, recently heading up Barclays Capital's’ Retail, Consumer and Packaging Leverage Finance business for EMEA. More recently Tangwena has undertaken entrepreneurial roles, including helping to build an emerging markets capital raising platform. 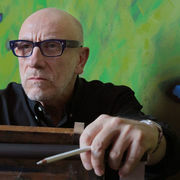 Brian Clarke was born in Oldham in 1953, he is a contemporary artist working in painting, drawing, mosaic, sculpture and tapestry. He is internationally recognized one of the worlds leading creators of stained glass artworks in architecture. Dame Theresa Sackler was a primary school teacher in London for seven years. Theresa serves on the boards of several family pharmaceutical companies and also devotes her time to various philanthropic activities including serving as a Trustee for a number of institutions. She travels extensively overseas and has an active interest in education and the arts/cultural sectors. Having studied horticulture, she also has a passion for gardens, nature and the environment. 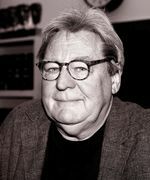 Sir Alan Parker is a film director, writer and producer. Many of his films (like Bugsy Malone, Fame) have been about young people. Alan’s principal interest is in the area of the arts, but he is also interested in the cultural diversity of the Academy and the challenge that it presents. Sohail comes from East London where he attended the local primary and comprehensive schools. Like many people working in the education sector Sohail was the first in his family to go to university. Sohail has a BSc Chemistry, a PGCE, a PGDE and a master’s degree. 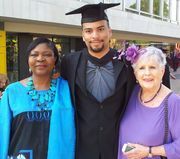 He has an MBA and a Diploma in Health & Social Care. Sohail is a Fellow of the Royal Society of Arts. He started working life as a Chemistry teacher and has held posts as a Director of Education and Director of Education, Sports & Leisure in two local authorities. 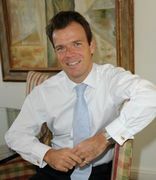 He was Chief Executive of Plymouth City Council, after which he was Regional Director of Local Government Practice with the former Office of the Deputy Prime Minister. Prior to his Teach First role, he was Head of Operations with a learning disabilities charity in NW London. Sohail has been a trustee of several charities and last year helped to set up a new MAT in Ipswich where he is now a trustee. 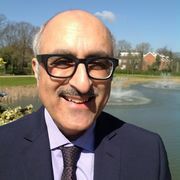 Sohail is married to Christine who is a primary school leader and practitioner.